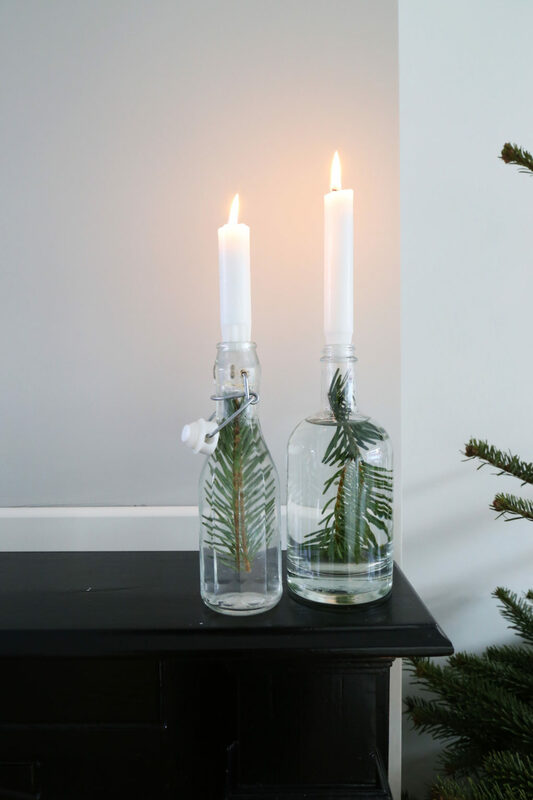 Today I’m sharing an easypeasy Christmas decoration tip with you guys. 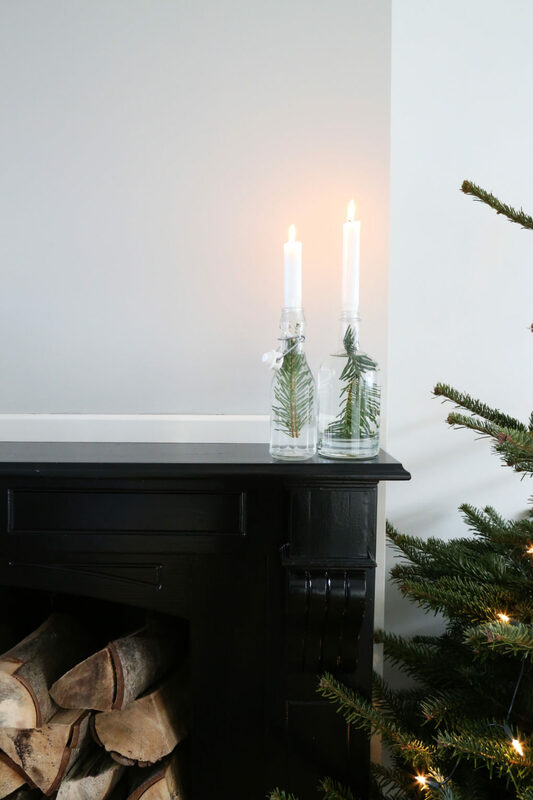 After our Christmas tree I felt we could use some more decoration and my mom came up with this great idea. 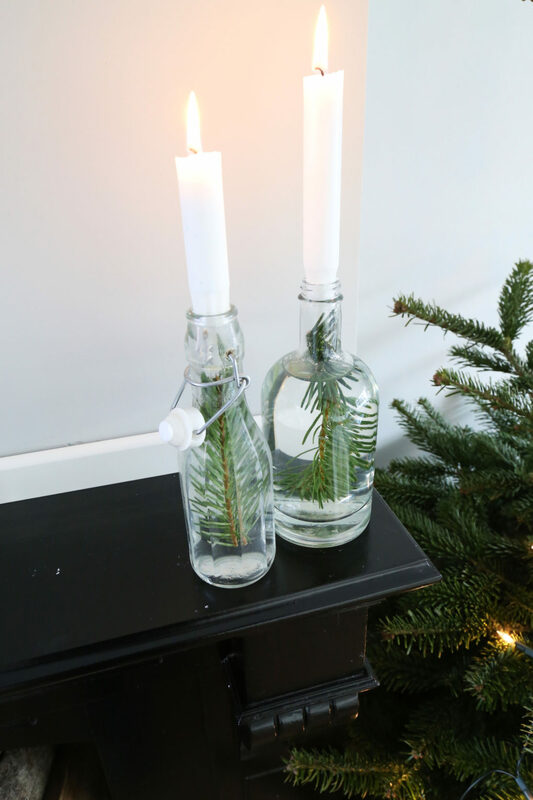 Very easy: take two clear glass bottles, peel off the label (if necessary), put in a branch, fill with water, put a candle on top. Aaaand you’re done! How cute are these? Thanks mom!